For yet another year (and that’s five years now) the timing of the Spanish Bike Race Series organized by Octagon (Andalucía Bike Race, La Rioja Bike Race, Asturias Bike Race and Catalunya Bike Race) has been carried out by the timers of Cronochip. For those who are not familiar with these competitions, they are unavoidable races for MTB enthusiasts. Spread over the period from February and September, the four events have added more than 3,350 cyclists of up to 37 nationalities in 2018. Among them were elite athletes such as Olympic medalists Carlos Coloma (bronze medal in Rio 2016) and José Antonio Hermida (silver medal in Athens 2004). How was the Bike Race Series timed? For the timing of these races the timingsense disposable tag attached to the bike plate is used, as well as TSOne and TS2 timing systems. The different stages of these races (all have three, with the exception of the Andalucía Bike Race, with six stages) have two intermediate control points in addition to the start and finish line. A cumulative classification system is used for all races: each stage is an individual race, with its own classification; but after the last stage, for each participant, its time in each stage is added. From this sum is obtained the final classification of the race. The first stage of the Bike Race starts with starting boxes by categories. In the following stages the start depends on the general scratch. This was slightly different in the Andalucía Bike Race. The first of the Bike Series (from February 25 to March 2) was the only one whose first stage was a time trial. This race is the oldest of all, with eight editions behind it and a very promising ninth for 2019. In the words of the organization itself, this will be remembered as the toughest and epic edition of Andalucía Bike Race. 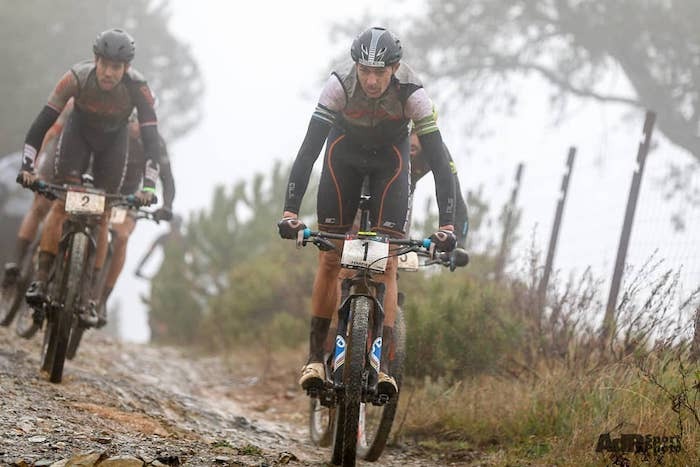 The constant rains and the bad state of the terrain forced to cancel stage 5 and in the last stage the route was changed and the start was delayed. This did not stop the more than 750 cyclists who participated in this edition nor the Cronochip timers, who even in the stage finally cancelled had the timing points prepared. The Andalucía Bike Race 2019 will arrive with news. On the one hand, they have postponed the date of the race, which will take place from 8 to 13 April; on the other hand, the organization has requested the highest category from the International Cycling Union (UCI), Hors Categorie, which would turn it into the Champions League of Mountain Bike. Its fifth edition has been the most popular, with more than 1,200 cyclists of 22 nationalities. In addition, it was the edition with the greatest female presence. The Olympic medalists mentioned at the beginning of the article did not want to miss it, nor did the former professional footballers (and also Olympians) Luis Enrique Martínez and Roberto Solozábal, both awarded gold medals at Barcelona 1992. This new race, with three circular stages, brought together between 6 and 8 July more than 400 participants who enjoyed the breathtaking views of a route that contrasted the high mountain of the Picos de Europa with the views of the Cantabrian Coast. Pola de Siero was the starting point of a race with a total distance of 180 km and 6,000m+ of climbing. In its second edition, more than 1,000 participants met in the Catalan Pyrenees to conquer on pedals the 2,063 meters of maximum altitude of the race. The first stage had a very tight podium: Victor Koretzky and Enrique Morcillo, in second and third place respectively, shared the time (2:32:33) and crossed the finish line just a second later than the leader of the stage, Sergio Mantecón (2:32:32). We say goodbye one more year to the Bike Series. The organization (and surely the cyclists) is already thinking about its next edition… and so are we!